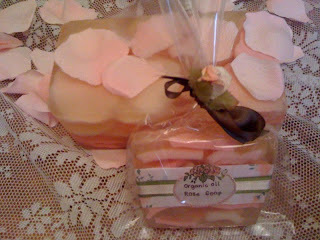 These roses are made with organic oils. It smells beautifull and makes a perfect gift. has a higher glycerin content, so enjoy this luxurious soap.